Item # 295411 Stash Points: 3,995 (?) This is the number of points you get in The Zumiez Stash for purchasing this item. Stash points are redeemable for exclusive rewards only available to Zumiez Stash members. To redeem your points check out the rewards catalog on thestash.zumiez.com. 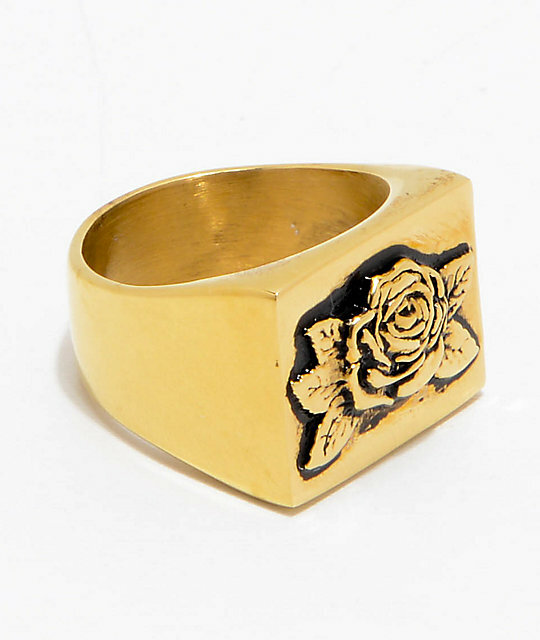 Add a delicate gold touch to your hand with the Rose ring from Han Cholo. A single blossomed rose is applied to the face of this gold plated stainless steel signet ring with black antiquing for a finishing touch. 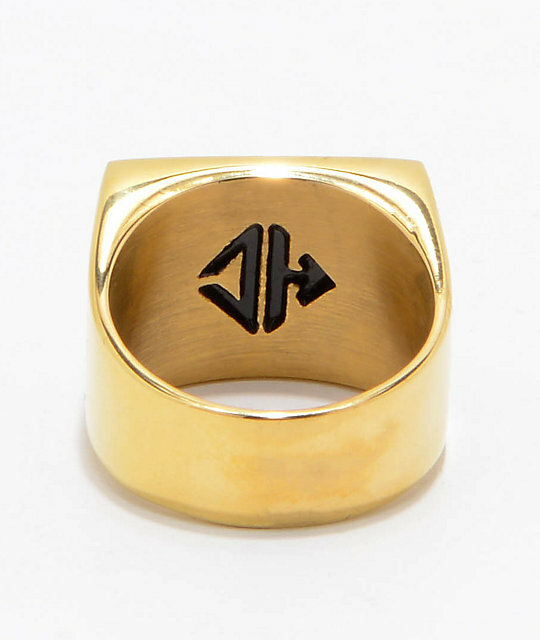 Rose Signet Ring from Han Cholo. Antiqued for enhanced design elements. Han Cholo engraving on inside of band.